Freedom to Play is vital to my enjoyment of martial arts. You might find this is a puzzling, challenging, or controversial statement. I know that many of my clients and MMA athletes on seminars often ask me if I set specific goals or have a game plan for training. When my reply is mainly “no, I just like to play” it is often hard for them to understand that response. So many people that I have come into contact with in martial arts spend so much time trying to get things right. They try to break all the techniques and strategies down to their smallest components in the hope that they will find the answers they are looking for. They put so much pressure on themselves to get it right they stop enjoying themselves. And the thing that really makes me sad is how so many people in martial arts are so focused on what they cannot do right that in most cases they miss the very beauty they are attempting to find. doing physics. Why did I enjoy it? I use to play with it…”. For a while there I had a similar feeling about my martial art training. (It was more like 7 years actually.) At one point I was seriously thinking of packing it all up and going to Thailand to teach English. (This was just before putting together the CMD international program at the end of 2005). Every time I found myself in the gym- when I could actually convince myself to go- I just really hated every minute of it. When I sat down and thought about the investment I had put into martial arts, especially as a career, I had to ask myself some really hard questions. What would be the implications of giving it all up? It was a long answer and took me quite a while to work through it. The summary of it was that I remembered why I used to do martial arts. Remembered a time before I got all focused on developing the competitive side of what we did. 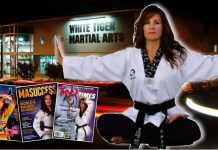 Before my martial arts program (CMD) was even known outside the four walls of my gym in South Africa. Before this crazy urban legend was created about me. A time before I was being asked to step up to all the physical challenges of opponents coming my way both in my gym and on the mats around the world. I did martial arts because I loved to play and at that time I had the freedom to play. physics whenever I want to, without worrying about any importance whatsoever”. This is exactly what I do now. Sometimes really hard to fight the mixed martial art stereotype or going against the way things seem to be the norm in martial arts. 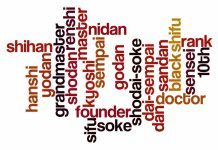 I know it really irritates some people and I know that those who love to talk smack about other martial artists get off on using this as ammunition. “But he hardly ever teaches his guys to kick” or “He never teaches this” or “That won’t work against X fighter” or “He is not competing so there is no way his stuff will work” (insert another 200 lines of ridiculous arguments). 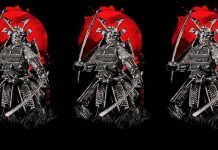 There is a human need of course to try and prove to all these people that they are wrong or debate them in the way they are thinking to prove otherwise- but although hard at times, especially when my ego kicks in, I have to remind myself that I don’t do the martial arts for these people; I do it for my own personal enrichment. It took me a while to figure that one out as well. For a very long time I felt that I just had to step up, I had to be the best. I would put so much pressure on myself to make sure that I was always better than every single person in my gym, or that I was able to beat every single person who ever challenged me in seminars. To some people this seems like the way it should be, but it really killed martial arts for me. The fact that I always felt terrible after knocking out someone, even when justified, should have been a sign that this was not the right way to do things. When I stopped focusing on “what other people where saying”, when I began viewing critics as men who seemed to love to just talk to themselves, some pretty amazing things started happening. 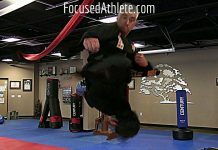 I began to love my martial arts training again and I had the freedom to play. I found I was no longer sparring from a place of anger. I was able to reconcile much of the physical abuse that took place as I was growing up. I stopped competing with myself and began to embrace the challenge of my martial arts practice. It really felt like I had just started all over again in my training and it was an awesome exhilarating feeling. Needless to say I never packed it all in, leaving for Thailand to teach English. My personal game improved more than it had in several years and once gain I found my passion for coaching. 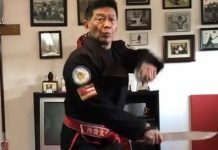 Freeing others to embrace the challenge of martial arts. For over a decade and a half Rodney King has coached world champion athletes to become the best they can be in the ring. 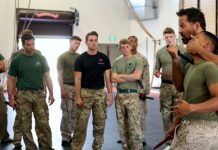 He has consulted with Special Force Military Units on helping them define and implement a winning performance mental game for the battlefield. He has acted as a Performance Coach for countless CEOs, business leaders and inspiring entrepreneurs to find their center of power, manage their fears, anger and frustration and help them develop into Embodied-Warriors for the boardroom. 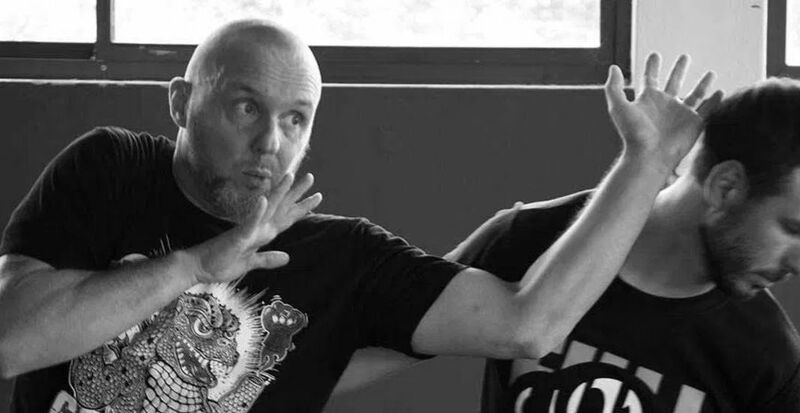 As a Somatic Movement Educator and Martial Arts-Life Coach, Rodney offers a unique program of warriorship tools, grounded in training the body through martial arts to refocus the mind. Root-Bernstein, M and Root Bernstein, R (1999). Sparks of Genius: The 13 Thinking Tools of the World’s Most Creative People. New York: Mariner Books.